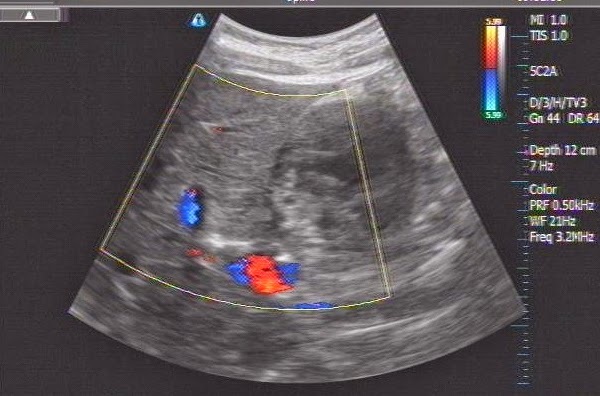 14yo girl for a long time epigastric pain like gastric syndrome. 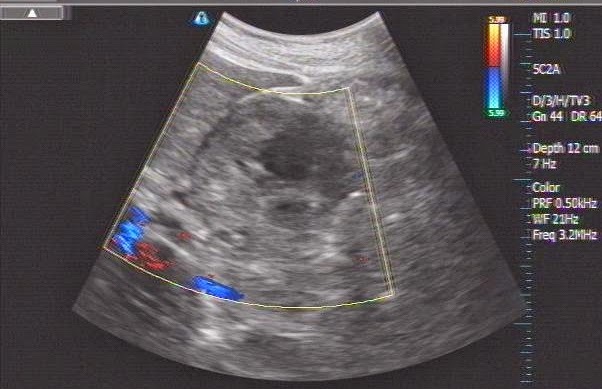 But ultrasound detected one round mass of 4 cm at the head of pancreas, without dilated CBD or Wirsung duct. 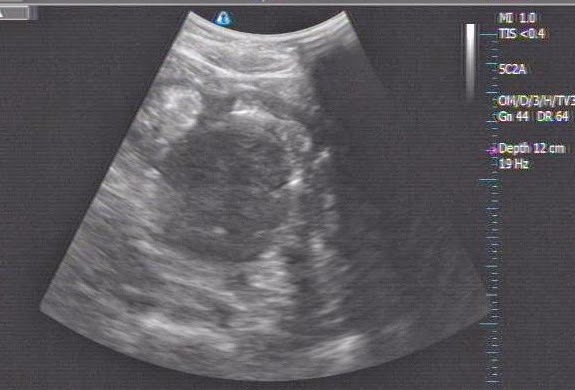 CDI no detection vascular intratumor and echostructure was inhomogeneous (see 3 US pictures). MSCT with CE showed this mass well bordered at the head of pancreas, slow enhancement of contrast. 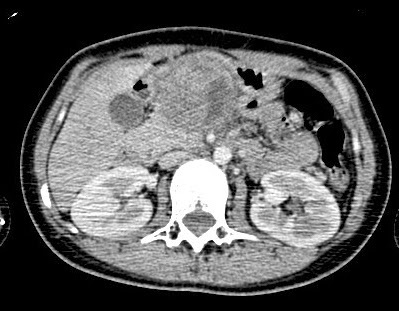 Based on clinical status and ultrasound and MSCT imaging, what is your suggestion of diagnosis and what is your plan for treatment ? Discussion: young girl with chronic pain. 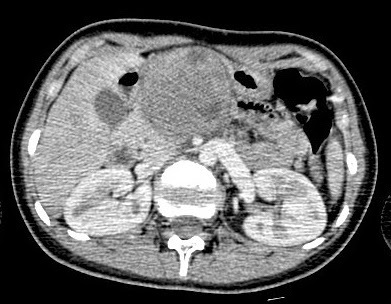 US and MSCT cannot make sure diagnosis. Operation for biopsy this tumor; the tumor is fixed to deep structure, thickening of the wall.After opening the wall, the black fluid came out and red blood following. Biopsy the wall of this tumor and one lymph node nearby. 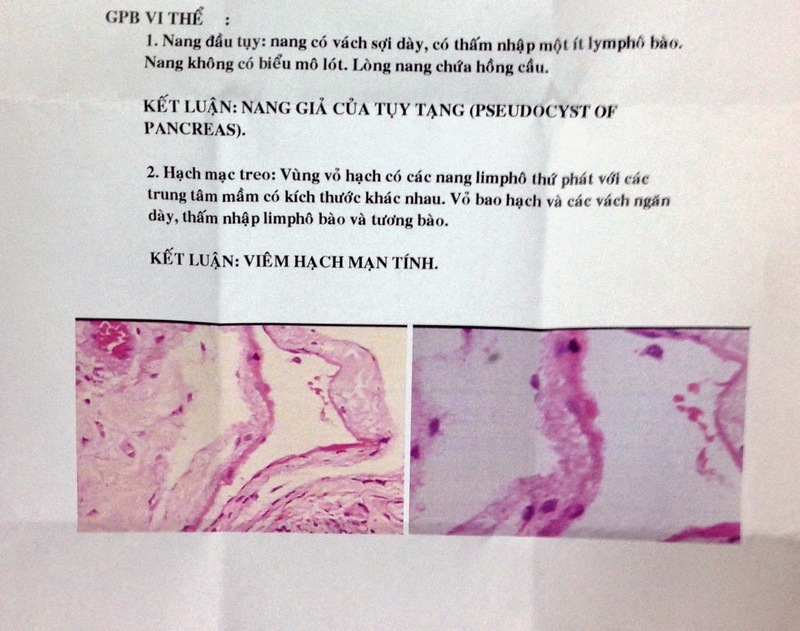 Microscopic report is pseudocyst of pancreas and lymphadenitis. 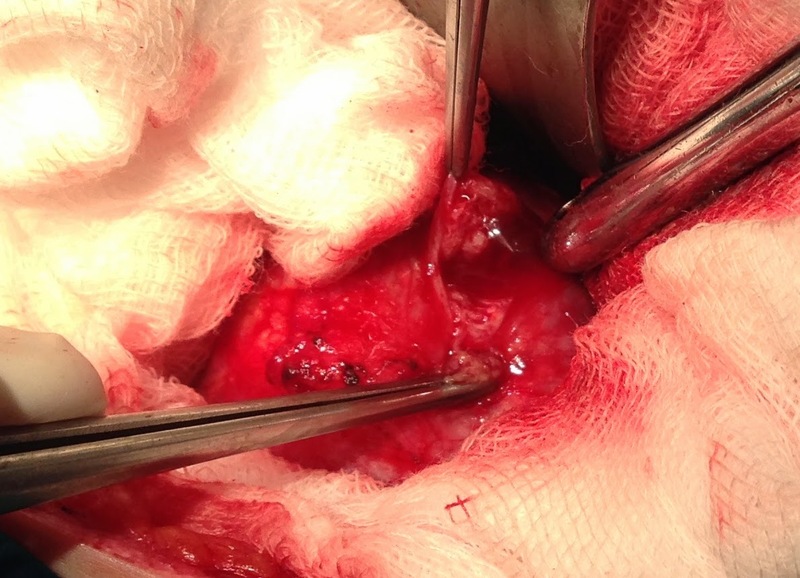 Plan to treat is waiting and seeing the evolution of this cyst. pdf.. Management cystic structure of pancreas.